CUPCAKES. 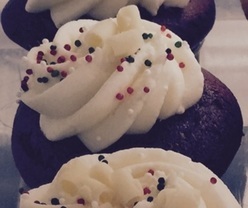 We are on a mission to find the best cupcakes in the Palm Beaches and South Florida. What's your favorite? BRITTANY WINE REVIEWS. Brittany, our Not-A-Sommelier, has a degree in History, so where do you go with that? You develop a palate for libations of all sorts, and write for this website. Some would say she is an amateur wine and spirits critic, but isn't that a fine line, really?